Marinating turkey sounds a little strange, but this is a great way to add flavor and moisture to a large piece of poultry. 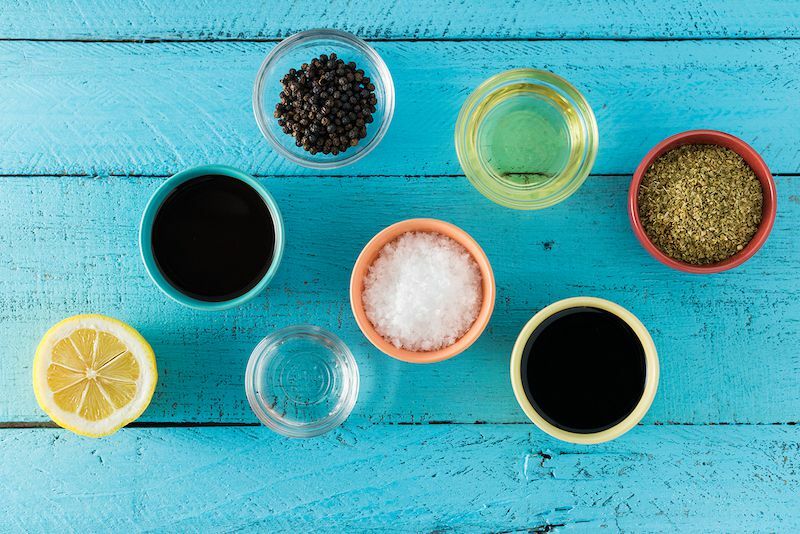 A marinade gets into all those places that a ​dry rub can't and it brings a layer of moisture that helps prevent drying and helps produce a golden and flavorful skin. These marinade recipes are perfectly suited to turkey, whether it is the big holiday bird, or for any reason. Remember, with a marinade, there is no need to brine or add a dry rub, so this is only one step before cooking. This basic turkey marinade is perfect for turkey because it doesn't overpower the flavor of the bird, but adds flavor and a protective layer for the grill. This light and easy marinade recipe uses the power of lemon juice as the acid to help tenderize and flavor meats. This marinade is particularly good on poultry like rotisserie or grilled turkey. When you make a deep fried turkey you want to get as much flavor as you can into the bird before it goes into the oil. This classic Cajun-inspired injection marinade will tenderize the turkey as it adds flavor. If you want to add Chinese flavors to anything you're grilling, then this is a great marinade. Make this marinade a day in advance to get the most out of the flavors. It's perfect of beef and poultry. 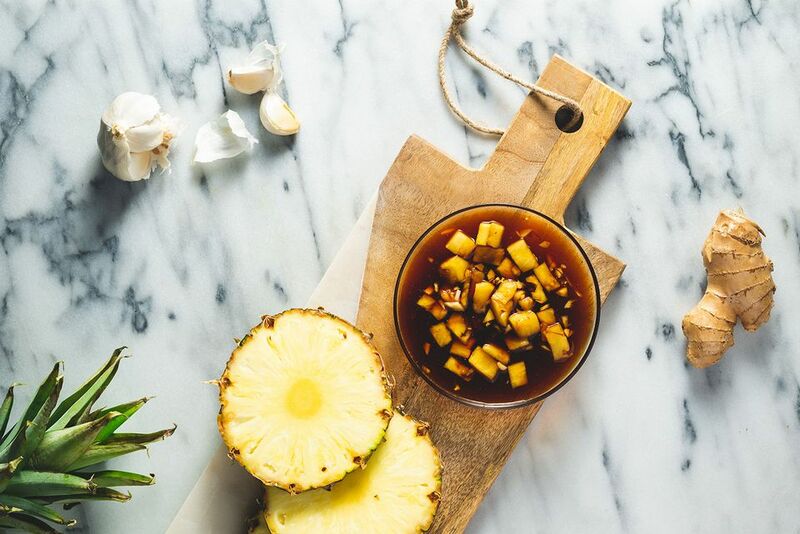 This sweet, fruity marinade has the power of pineapple and cider vinegar to work its way into the meat. Add to this a collection of flavors that turn any cut of pork or chicken into something truly great. Using sun-dried tomatoes packed in oil is a great way to start a marinade. The oil has already taken on the tomato flavor and ready to pass it to whatever you choose to marinate. You've heard of ​jerk seasonings and jerk rubs, well this is a jerk marinade that gets that great jerk flavor deep into the meat. You can use this marinade on all kinds of meat and poultry. This is a great marinade recipe for turkey. Similar to the marinades you find in those rotisserie chickens at the store, but much better. This marinade uses the power of balsamic vinegar to tenderize and flavor meats. This marinade works well on poultry and pork. I would particularly recommend it for any grilled or smoked turkey. This is a 24-hour marinade, guaranteed to please every time. The chicken or turkey is always moist and tender. Use 1/2 recipe for chicken or a full recipe for a turkey of any size. Everyone will clamor for this turkey marinade recipe. This marinade is thick enough to stick to the surface of the turkey. Slather over the surface and make sure that the turkey is evenly coated and the sweet, mustard flavor will sink in giving a mild, but definite flavor.